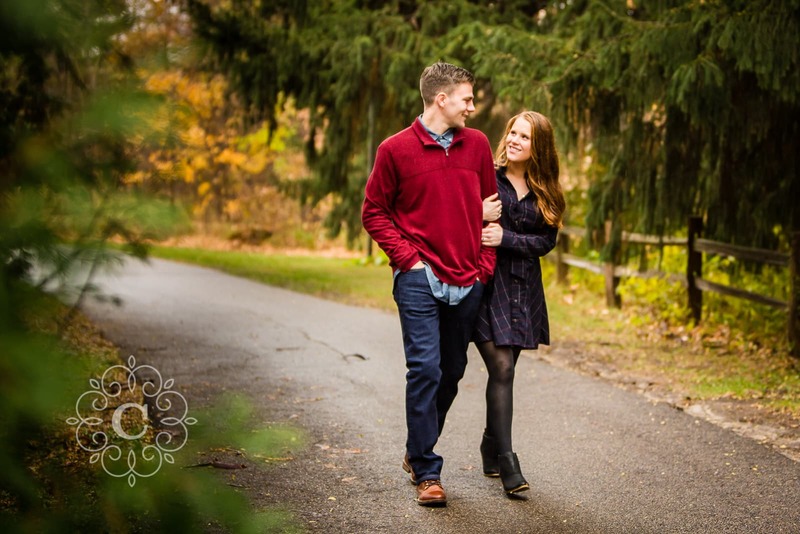 Sarah + Ezra met several years ago while attending St Olaf College in Northfield MN. 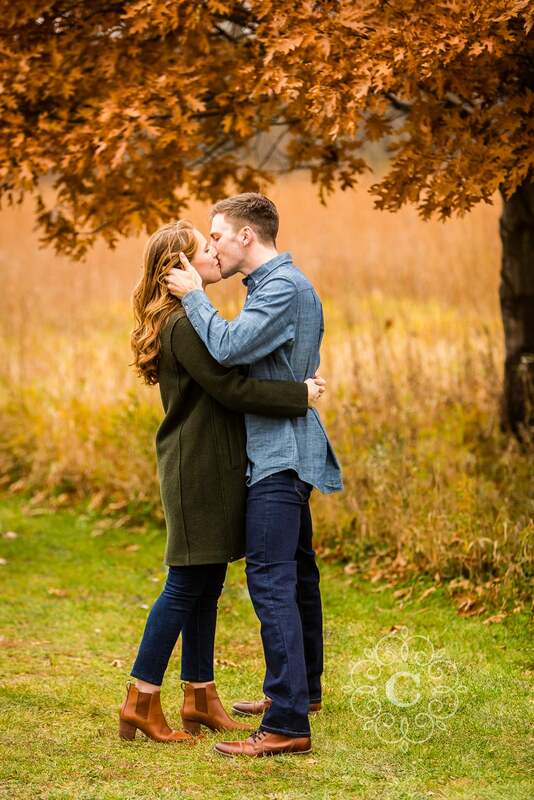 They now live half a country apart for jobs and school, and won’t be moving back to Minnesota until next summer. 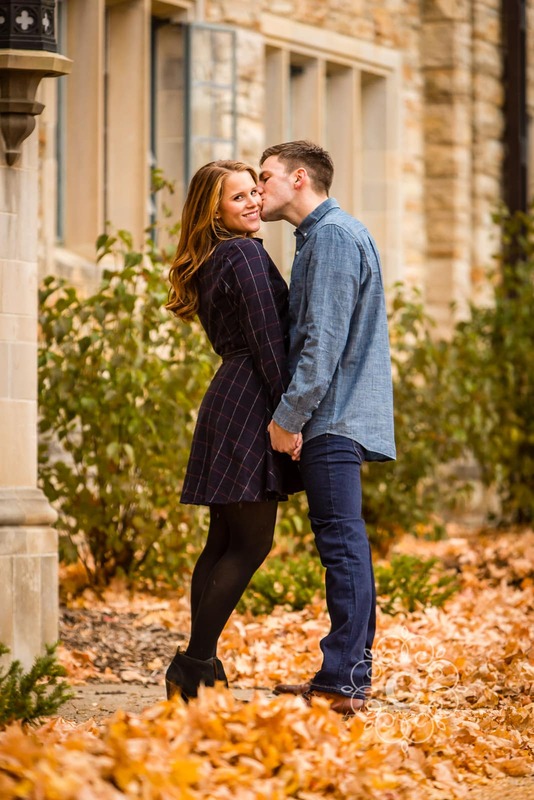 While they were in town visiting family and planning their wedding, they were excited for the opportunity to photograph their engagement session. Naturally, they gravitated toward the alma mater where they met. 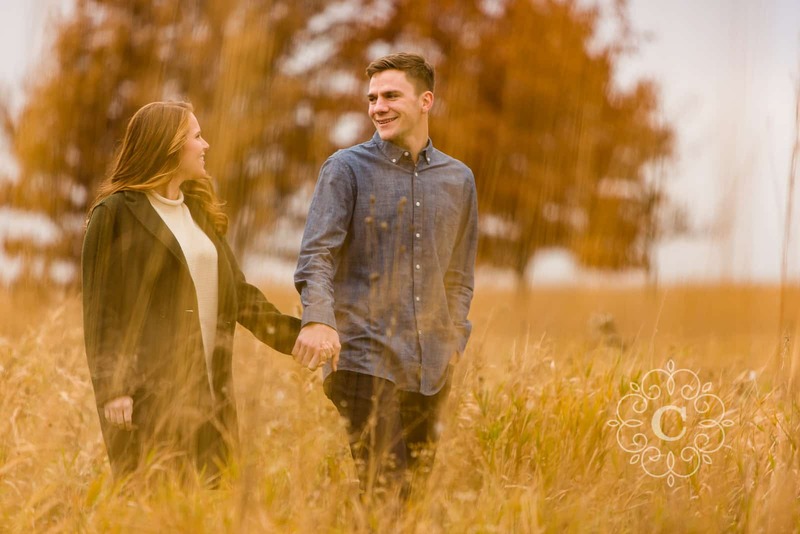 Luckily, the rainy fall weather held off long enough for us to have their beautiful St Olaf College engagement session! We headed down to Northfield on a day with patchy rain. Since they were only in town together very rarely, we had to work no matter what the weather. 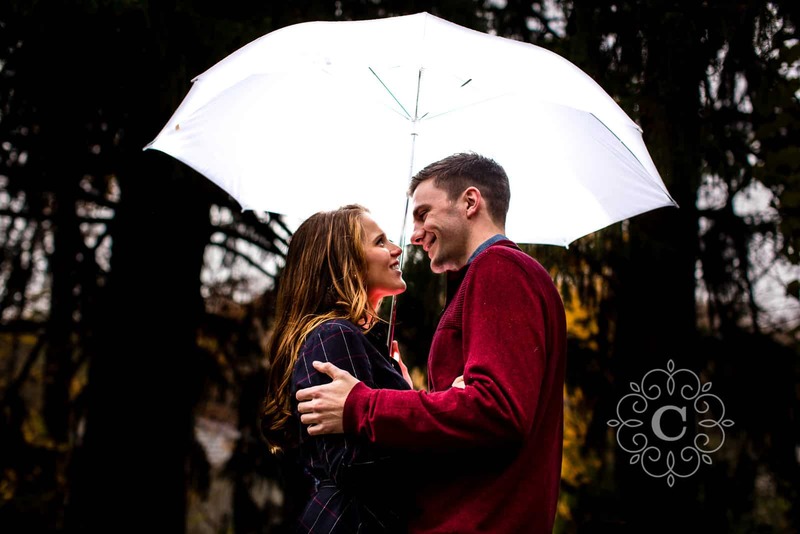 Luckily, we timed it just right and photographed the two of them in some of their favorite spots on campus between rain clouds. We visited the running fields, a quiet bench overlooking a pond, a few of the gorgeous old buildings, the quad between buildings, a few walking paths, gardens and trails, and even on a spot overlooking downtown Northfield. The umbrellas came out at one point during a slight drizzle, but the rain left as soon as it had appeared. Sarah + Ezra loved visiting their old stomping grounds. 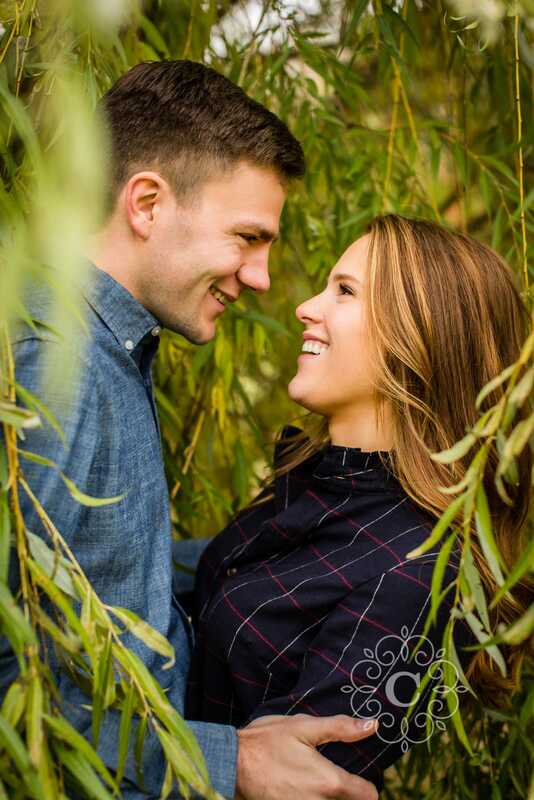 A perfect fit while they are in the midst of planning for their big day. We had so much fun! 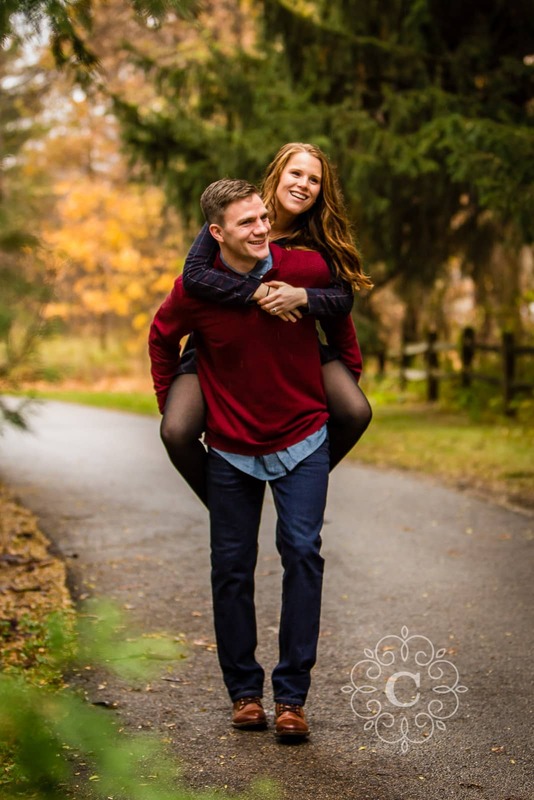 Thank you so much, Sarah + Ezra, for working with me as your Minneapolis wedding photographer! 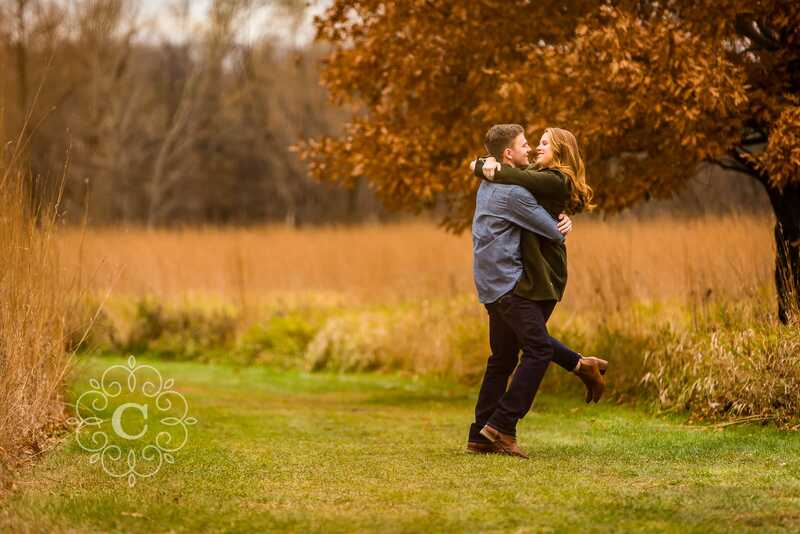 I had so much fun working with you for your beautiful St Olaf engagement photos, and I am so excited for your wedding next year! 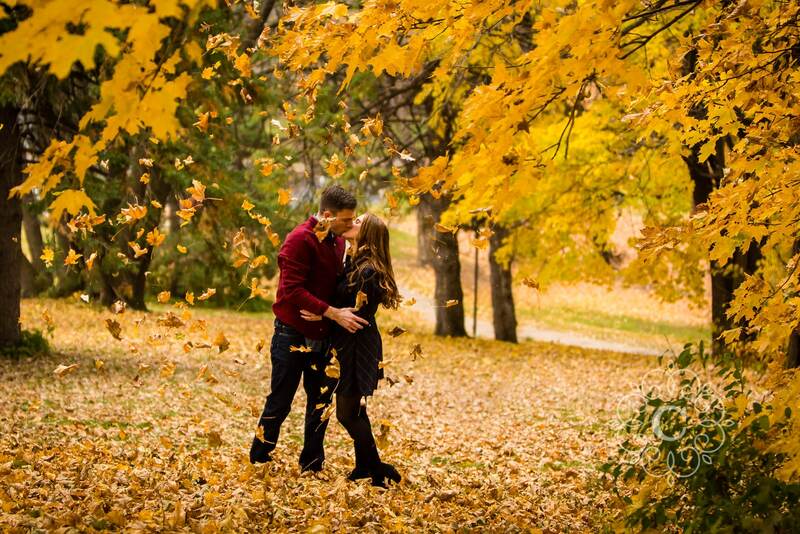 If you are considering St Olaf College engagement photos, contact me soon to see if we’d be a good fit together! 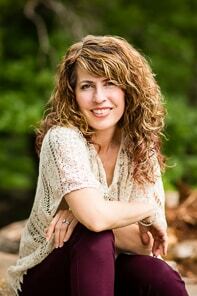 Take a look at their awesome slide show too!